The year 2014 is over and we are now in our first full week of January. It is clear that 2015 is a year that is in full swing now. Which means its time to start sorting out what to see this year in theaters, and not to see in theaters, and what could tiptoe the line between pass and fail. Yep, its my second annual 2015 Movie Radar Project. Here's how we are going to do things this year. Back in early December, I made a list of movies from 2015, and I put each film into three distinct categories. Movies I believe are Must-See's are on a list, Movies that I think could go be either good or bad are on a list, called "Maybes." Then there's the movies I am not too excited to see, and movies I feel could be the potential bombs this year, called "The Potential Bombs." I will discuss why I feel each film makes this list, as well as the release date for the film. Of course, I am starting with the movies I am most excited to see this year. The list of films I want to see in 2015 is pretty massive, so it will take two posts to finish this list and give it thorough enough evaluation. 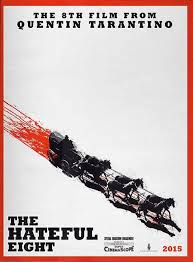 Any year featuring a brand-new Quentin Tarantino film is a year to get excited in my book. Especially if that said QT film has a cast that includes Kurt Russell, Channing Tatum, Tim Roth, Michael Madsen, Bruce Dern, Jennifer Jason Leigh, Walton Goggins, Demian Bichir and of course, Mr. Samuel L. Jackson. Yes, it's kind of disappointing that Tarantino is making another Western, because I love watching him play with genres (He rumored making a 1970's spy thriller at one point, just imagine that). But I've heard good things from the script reading which occurred last year and it sounds like this is going to be much different compared to "Django Unchained." Brad Bird made two of the best animated films of all time, "The Iron Giant" and "The Incredibles." When he turned to live action, he made "Mission: Impossible-Ghost Protocol" and breathed new life into a dying franchise. Now, Brad Bird is returning to us, in live-action format. He's making a science fiction film for Disney and it stars George Clooney. Yep, I am totally there. Neill Blomkamp blew my mind in 2009 with "District 9," and while I didn't fall completely in love with last years' "Elysium," its an interesting movie that I wouldn't mind observing again. 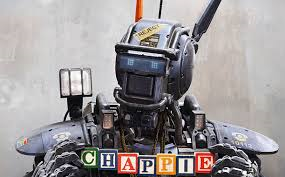 Blomkamp is still an interesting voice in my opinion and I get incredibly emotional when I see the trailers for "Chappie." This movie may seem like familiar ground, but under the eye of Blomkamp, I bet it is going to feel like an astounding original. Jeff Nichols stands out in my mind because he made one of the best films of the last five years, "Take Shelter" with Michael Shannon. 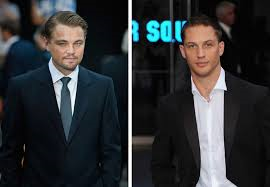 This year, he reunites with Shannon and invites Kirsten Dunst, Adam Driver, Joel Edgerton and Sam Shepherd to the party. "Midnight Special" revolves around a father who goes on the run with his son, once he finds out his son has special powers. Nichols hasn't let me down yet, I'm excited. 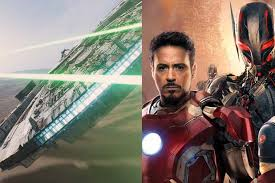 Jon Favreau can do big (Iron Man) and he can do small (Chef), now he is going to tackle a fairy tale. 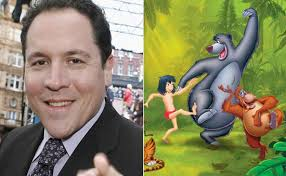 Favreau is creating a live-action reinterpretation of "The Jungle Book," featuring the original songs from the animated Disney classic. Bill Murray will provide the voice for Baloo, Christopher Walken will voice King Louie, Scarlett Johansson will voice Kaa, Lupita Nyong'o will voice Rakcha, Sir Ben Kingsley will voice Bagheera and...oh yeah... Idris Elba will voice Shere Kahn. Excited yet? What would a year be like without our big popcorn blockbusters? I don't know if I can say more now than I have already about any of these movies. As much as I love to have any type of experience at the movies, I love being rocked by an experience. But other than that, these blockbusters have a lot I am thinking about. I can't wait to see how "Star Wars" goes, as it seems that Han, Leia and Luke are being pushed to the sidelines. I can't wait to see how the events of Marvel Phase Two play into "Age of Ultron." I can't wait to see how "The Hunger Games" finally ends. And "Furious 7," well I can't wait to see how the film reacts to the sudden death of Paul Walker. 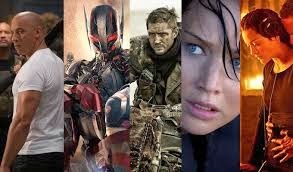 Each of these films could become historical, pop-culture events. I certainly hope so. As much as I love Pixar, it seems their output hasn't been the same since 2010. This used to be the animated studio who took risks, and it seems for over five years now, they've been playing it safe. 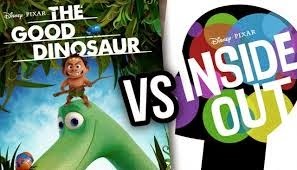 I hope the one-two punch of "The Good Dinosaur" and "Inside Out" can bring a new energy to the studio and to the name. I really am excited to see how this year plays out for them. I've been waiting and waiting for this one. Its been talked about for so long that I thought this film would only be a distant dream. 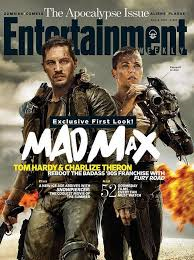 The return of the "Mad Max" franchise can't come fast enough, and I am curious to see what Tom Hardy does with the iconic role. Out of any Marvel movie coming this year or in the future, I am wildly curious about this one. There has been a year of controversy over this little film and many believe it will be Marvel's first massive misstep. 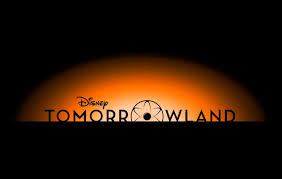 I am hopeful, and I think the studio has what it takes to pull forward and win. 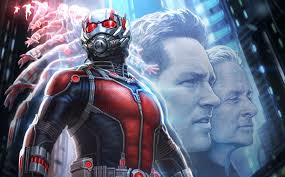 I love the cast, which includes Paul Rudd, Michael Doughlas, Evangeline Lilly, Corey Stoll, Bobby Cannavale, T.I., Wood Harris, Michael Pena, and Judy Greer. I love that Marvel is finally embracing its weirder side, and I can't wait to see if they stick the landing. Looks like 2015 will be a big year for high-concept spy fiction. I wouldn't have it any other way. 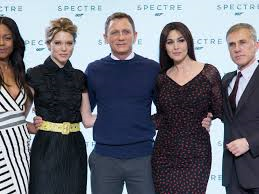 I don't know how many more Bond films Daniel Craig has left, but I know he's going to give his heart to the cause, and with Christoph Waltz as the villain, I can't wait. Tom Cruise has really turned the "Mission: Impossible" franchise around and I am curious to see what happens this year. And it seems "Kingsman: Secret Service" is a different kind of spy thriller, but looks just as fun. The Wachowski brothers have been blowing my mind ever since I saw "The Matrix" in 5th grade. Yes, I am even one of those weird guys who actually liked the sequels. While I felt "Speed Racer" was a misstep, the brothers regained my trust in 2012 with "Cloud Atlas." 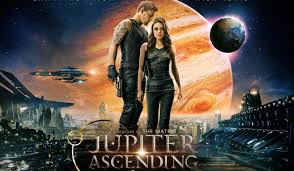 I am astonished that they can so effortlessly blend philosophical and relevant ideas with the biggest, most bombastic of action pieces, as well as the most dreamlike of imagery. When the Wachowski's are on their A-game, their movies can be all-encompassing. I am hoping, hoping that it happens once again next month. So, there is Part One of my Must-See list for 2015, there will be more tomorrow. What do you think so far? Excited for the New Year yet?